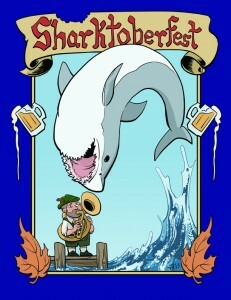 Sharktoberfest, a Hex Games production, featured my artwork on the book cover (my first Hex Games cover!) 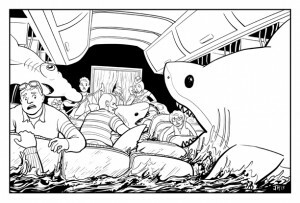 and two of my illustrations inside the book. 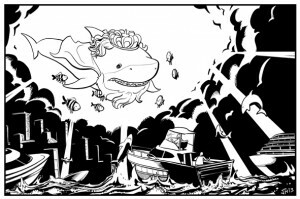 The game was about creating a “sharkbomination” monster movie, giving players and GMs the rules and advice they needed to run their game. 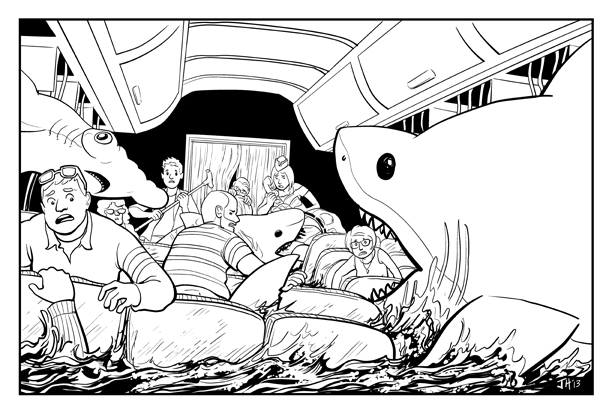 I’ve never drawn sharks before (well, not professionally) and this was a fun introduction to them!